Combine all ingredients in a mixing glass and stir until chilled. Strain into rocks glass over ice (one large cube if possible). 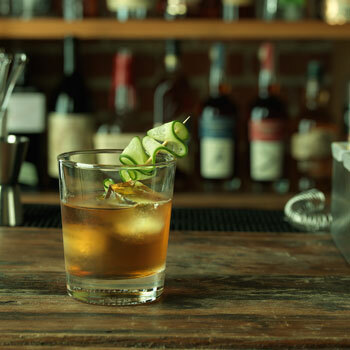 Garnish with two cucumber wheels in the drink, and the third wheel floating on top of the drink.